The evidence of love is the doing, not the saying. And we can’t (or shouldn’t) be so hungry to hear words that excite feelings that we will settle for not seeing love. Matthew 5:33-37 exhorts us to keep it simple. Say yes. Say no. Don’t swear by anything because we are not at the source of power to make things change – hair from white to black, etc. Anything more than a simple yes or no has its roots in evil. Evil begins when we want more than a yes or no. This lesson is challenging and rich. It takes meditation and reflection to consider our ways. Here’s the background for Matthew 5:33-37. Leviticus 19:12 –– Swearing falsely by God’s name is dishonor to him. Numbers 30:3-16 — Regarding vows of young women and wives in the hearing of their husbands, if not vocally refused by fathers or husbands, then the women are held to fulfill the vows. Widows and divorcees are held to their vows automatically. Deuteronomy 23:22 — If one speaks the vow, then one must perform the vow. If one does not make a vow, then it is not sin. These background passages inform the warning in Matthew 5:33-37. To prevent contention with evil, just say yes or no. Ecclesiastes 5 warns us as well to use wisdom when we make vows to God…and not to be in a hurry to make them. So what about love making no promises? Yes, this is the point, that love is not given more because one is faithful. Nor is love held back because one is unfaithful. No! God is love, and He does not love us because we keep our vows. Hallelujah for that! He loves us because love is His nature. Love exists before the improvements are made (Romans 5:8). Likewise, with this same love in us, we have the ability to love with no puppet strings of manipulation. We cannot force people to do what we want…and when they don’t, our love should remain constant. Love is the debt we owe one another (Romans 13:8). Love is an anchor — everything depends on love to be stable, not the other way around. Love is the motivation for all our effort in all of our various relationships. We grow in God’s love (1 John 2:5) and learn to abide there (John 15:10) by our obedience. So let’s keep it simple…and let the Father perfect us in love. Let’s free ourselves from the “origin of evil” that comes from false and unrealistic expectations where we “penalize” someone by holding by our love. 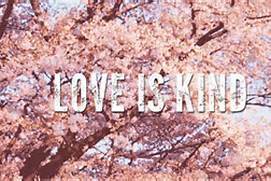 Love is patient and kind, not provoked, not proud or rude or selfish. Love loves the truth. Love bears all, hopes all, believes all. Love never fails.